How does VAT refund for the purchase of the first real estate function? If you are buying an apartment and it is your first real estate, you do not own any other real estates and you never did, if you are a citizen of the Republic of Serbia, then you are entitled to a VAT refund on 40m². Each family member releases VAT on another 15m² which means that the family that has three members and neither one of them is or was the owner of some real estate, can recover the VAT on the flat of 70m². At this moment VAT is 10%. Are all the buildings of company Vaer Engineering finished when it's planned? One of the main goals of the company Vaer Engineering is to set new standards in business and satisfaction of our clients. These goals are achieved, among everything else, by respecting deadlines and regarding to that every building that company Vaer Engineering works on is completed within the stipulated time. Can the apartments from the offer be purchased through loans? 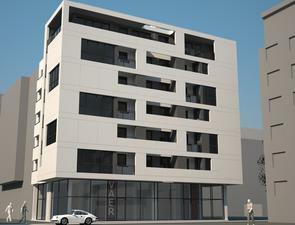 Yes, apartments from the offer of company Vaer Engineering can be purchased through loans. When you are buying through loans it is important that the building in which you want to buy an apartment is 80% finished. By calling or sending an e-mail, we can give you information about in which phase the building that you are interested in is and if it isn't 80% finished at the moment, when will it be. Do all the buildings have calorimeters and do they have a billing system for heating by consumption? Yes, all the buildings have calorimeters built in and payment of heating is by consumption. All our buildings are connected to the main city heating plant. Does billing system for heating by consumption means that building is heating on gas? Do all buildings have elevators and what kind? Yes, in every building there is at least one elevator for 8 people, no matter how many floors the building has. We install hydraulic silent elevators because they are proven to be safer, more comfortable to ride in and as the elevators that brake down less than other types. If the building has a basement, elevator in this case has a station in the basement, too. How is the problem of parking for tenants solved? In each building that Vaer Engineering built there is provided enough parking spaces and garages. Minimum number of parking spaces and garages equals to the number of apartments. All gates and garage door have remote control, and mechanical keys provide opening in case of power failure or potential breakdown. The whole parking and garages in basement are covered by video surveillance and elevator in each building has a station in the basement. •	The only building that doesn't have parking spaces or garages is in number 12 Miše Dimitrijević St., because it is not planned according to Urban plan of Novi Sad. 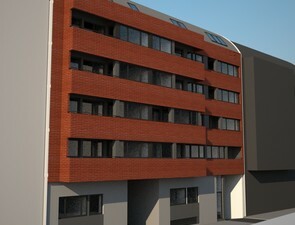 Garages and parking spaces tenants of this building will be able to provide in the neighboring building at number 14 Miše Dimitrijević St. when it is finished or in some other adjacent building. What is the ideal number of floors and apartments per floor? Over two decades of experience have shown that the streets in which are the buildings with five or less floors are the best organized and the most pleasant for living. The most ideal conditions for a peaceful life of tenants are in cases where the floor has four to six apartments. Are the terraces counted in the square footage of the apartment? Yes, the terrace is counted as any other square meter of the apartment. Is there a possibility to participate in finishing works in the apartment? Yes, if you buy the apartment when it's under construction or in the final stage, you can influence on the work that haven't been done up to that point. Apartments on the last floors reasonably fall into the group of most expensive and most luxurious worldwide. The advantage of living in a duplex is reflected in peace and comfort of life that a flat on the top floor gives you. In company Vaer Engineering we believe that duplexes are intended for big families, because in them you can provide enough space for each family member. All duplexes that company Vaer Engineering offers are designed to have more than 120m², a minimum of three spacious bedrooms and a minimum of two bathrooms. Totally opposite to developed countries, here the price of these apartments is much lower comparing to the apartments on the regular floors so it is an ideal opportunity for anybody who needs a big family apartment. In duplexes there are spacious living rooms, large kitchen, large bedrooms, two bathrooms minimum, which is ideal for big families. Where is company Vaer Engineering planing to build in the upcoming period? Everything that company Vaer Engineering is offering, you will be able to see on this website. If you want to find out something about new buildings you can contact us by calling or by sending an email. What are the advantages of Grbavica? Peaceful and quiet streets are the biggest advantage of Grbavica, especially if you are looking for a perfect place for family life. At the same time, all the important facilities are in the immediate vicinity, and kindergartens, schools and colleges are on few minute walk. At Grbavica life is safe, pleasant and free of everyday noise and pollution. Great density and frequency provides an excellent opportunity for small businesses. Grbavica is one of the oldest parts of the city, and at the same time modern because of a large number of buildings built in the last ten years. Since it is located near the city center, it's the ideal place for every member of the family. 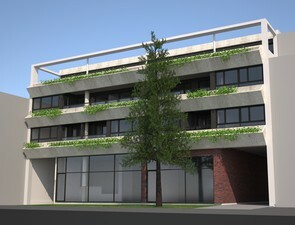 Close to kindergartens, schools and universities, as well as numerous commercial buildings, guarantees time saving. Each location you can quickly reach by foot. All the buildings that company Vaer Engineering is currently offering are at Grbavica. Why to choose Novi Sad? • As the economic center of Vojvodina, it offers a great opportunities for employment and development of high quality cultural and social life. • Fairs, concerts, sports events, EXIT, and many other festivals are just some of the events that bring together a large number of people in Novi Sad and make life in it a lot more interesting. • It is also known as a university city, Novi Sad is the ideal choice for young people who wish to complete their studies and become academics. These are just some of the reasons why many people who are not from Novi Sad wish to come to live in it, and all residents of Novi Sad wants to stay in Novi Sad. Novi Sad, the city that is just right for you!